The Availability page allows you to change settings relating to the look and feel of the software, including actions that happen when calls take place. 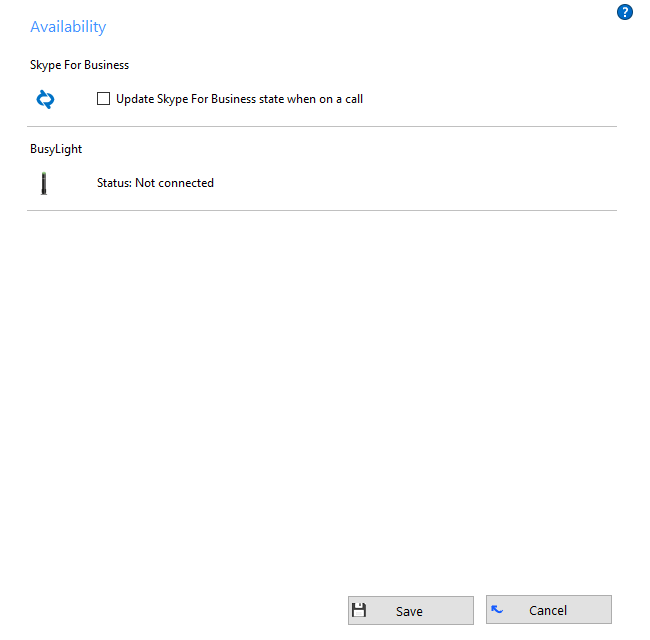 If you use Microsoft Lync/Skype for Business, Go Integrator Client can automatically update the Microsoft Lync/Skype for Business state accordingly. Tick this option to enable the feature. Go Integrator Client has plug and play compatibility with Busylight so everyone in the office can see whether a colleague is available for a conversation, busy on the phone, or simply does not want to be disturbed. For more information, please click:here.